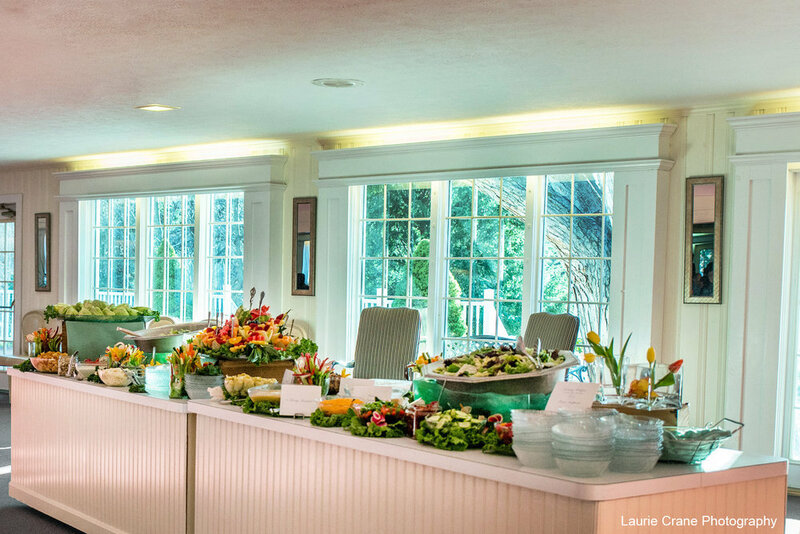 The sunlit room in the Plantation Party House accommodates up to 325 guests and features three walls of windows, a large dance floor and round guest tables. Wedding parties may be seated at our popular Tuscan style Plantation table, a more traditional Head Table, or you may choose an intimate Sweetheart Table for two. The forty-five foot artisan crafted oak bar is conveniently located in the same room to keep the party flowing without interruption. The banquet hall facilities are easy to enter and navigate. The Plantation Party House welcomes all guests.